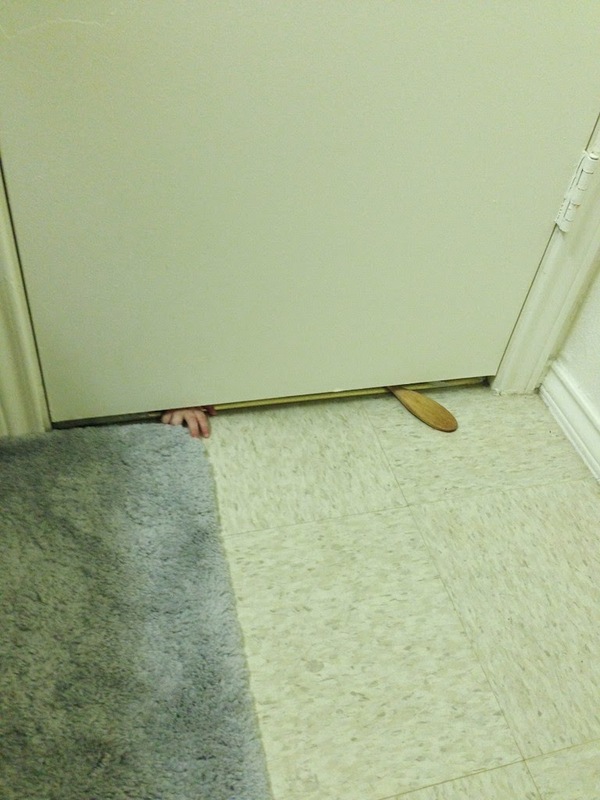 Also, you know that pinterest picture with the kid sticking their hand under the door? That is for real. Except Milo likes to be an overachiever and reach for me with both his hand and his wooden spoon. I'd let him in but he goes straight for the toilet water... and that's not a good situation for anyone involved. Sorry munchkin, it's for your own good!